August 18, 2016 This post may contain affiliate links, which means that at no extra cost to you if you buy from one of the product links, I’ll earn a small commission which helps this site run. See full disclosure here. Alaska is the largest state in the United States and definitely one of the most beautiful. It is known for it’s diverse terrain and abundance of wildlife. It is home to Denali, the tallest mountain peak in North America at 20,310 ft. Fairbanks, Alaska is a beautiful and very diverse… It is best known for it’s location for viewing the Northern Lights. The weather and seasons are quite different in Fairbanks from the rest of the United States. Due to it’s geographical location, the solstices are extreme meaning long days of sunlight in the summer and long nights of darkness in the winter. Also known as the Land of the Midnight Sun, Alaska’s summers are full of daylight and outdoor activities. If your goal is to get outside and explore, you will want to visit in the summer. The long hours of daylight are ideal for packing a lot of activities into your days. You can expect temperatures in the 60s-70s. But the weather can still a bit unpredictable, so you may still experience cold overcast or rainy days. Summer is high season in Alaska so hotels are more expensive. Tip: Don’t forget to pack sunscreen and bug spray! Fall is a beautiful time to visit Fairbanks as the temperatures drop and the days get shorter. The leaves begin to change and make for gorgeous scenery. You can also start seeing the Northern Lights while the weather isn’t as cold yet. As the tourist season slows, accommodation rates will drop but many business hours change or close for the winter. Winters are cold and dark, but they are ideal for viewing the Northern Lights. Winter is the off season, so you will find better accommodation rates. However many businesses close for the winter or have limited hours. March is a great time to visit as the days return to normal lengths of daylight and sunlight but you can still see the Northern Lights. See pictures from my trip to Fairbanks in March 2018. There is often still snow and cold temperatures in spring, but with increasing daylight the days are more normal. You can still catch some Northern Lights. If you’re planning to see the Northern Lights, plan your trip between October and March for best viewing opportunities. You can use the Aurora Tracker on the Explore Fairbanks website to check the Aurora Forecast before and during your trip. Many hotels offer wake up calls when the lights are present at night. 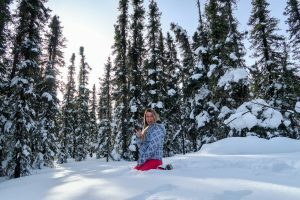 If you’re trying to visit Fairbanks on a budget, go during the off season, between October and May. There are plenty of options for hotels in Fairbanks. When I first visited Fairbanks, I stayed here at the Hampton Inn & Suites. Offers complimentary breakfast and a free shuttle to and from the airport, but if it’s not running or you don’t want to wait, a cab ride to the airport is about $25. Notice: I did have to sign a waiver warning me not to leave money or valuables in our room and that the hotel provided a safe in the lobby to secure valuables. This hotel sits right on the Chena River in Fairbanks. It is only open mid-May to mid-September, but if offers private cottages along the banks of the river. Each cottage is detached and has its own private deck and a view of the Chena River. This quaint little hotel is right in downtown Fairbanks. It is open mid-May to mid-September. Another great option for staying in Fairbanks is AirBNB. Get $40 off your first stay with AirBNB here! More resorts and hotels are listed on the Alaska.org website here, but I only listed the hotels which we considered and the one we actually stayed at. 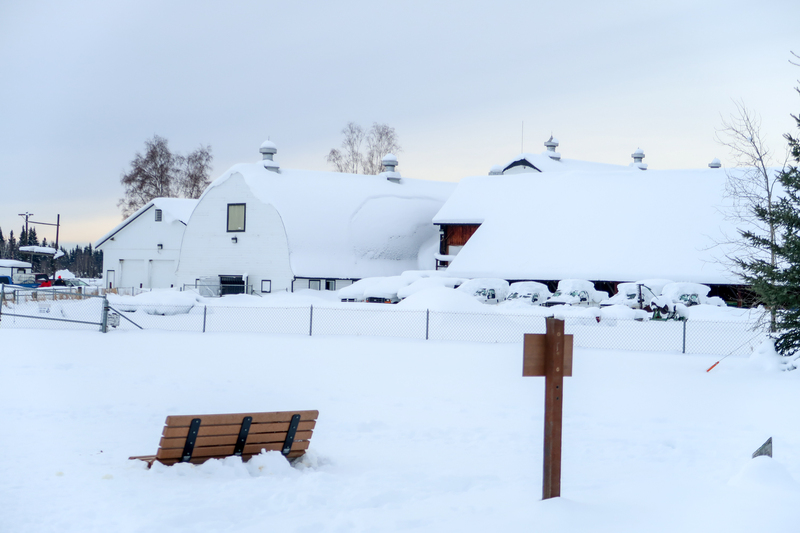 If you’re planning on staying local to downtown Fairbanks, you can get around easily by taxi. However, with many activities outside of the downtown area, I recommend getting a rental car. 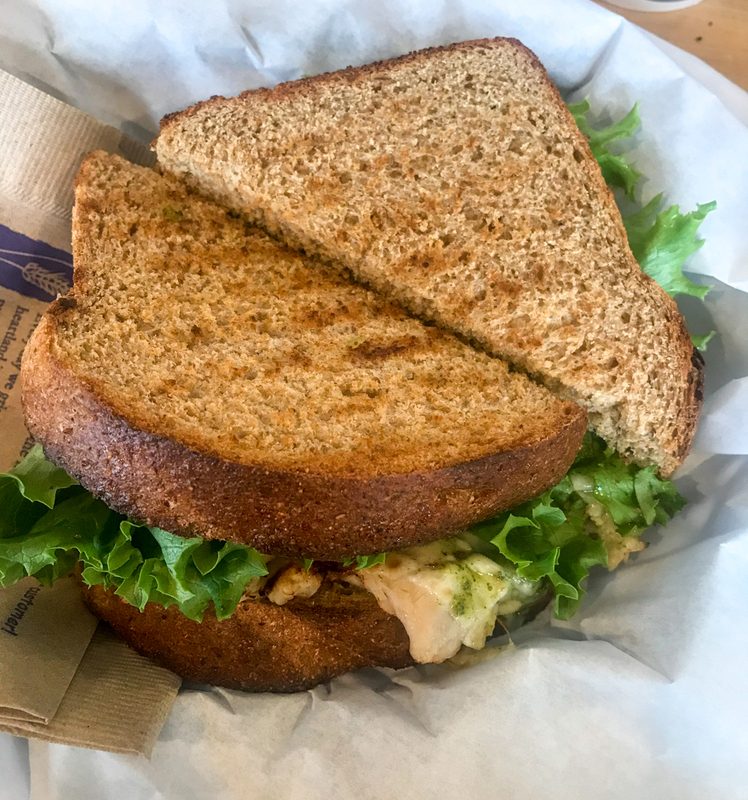 Open daily offering delicious freshly made bread, sandwiches, and sweets. They sell breakfast sandwiches as well, making this a great place for breakfast or lunch! Fine Alaskan style dining. Great selection of Alaskan seafood, steaks, and locally grown herbs. The restaurant has an outside deck and also offers brunch on Sundays. Open year round but with limited hours in the winter. See their hours here. Fine dining featuring modern Alaskan cuisine with indoor and outdoor sitting right along the Chena River. The restaurant is located at the River’s Edge Resort and is open from mid-May to mid-September. They also offer a breakfast buffet to start your day before exploring Fairbanks. This is actually outside of Fairbanks, but worth the trip! I recommend stopping here on your way back from hiking in Denali National Park. 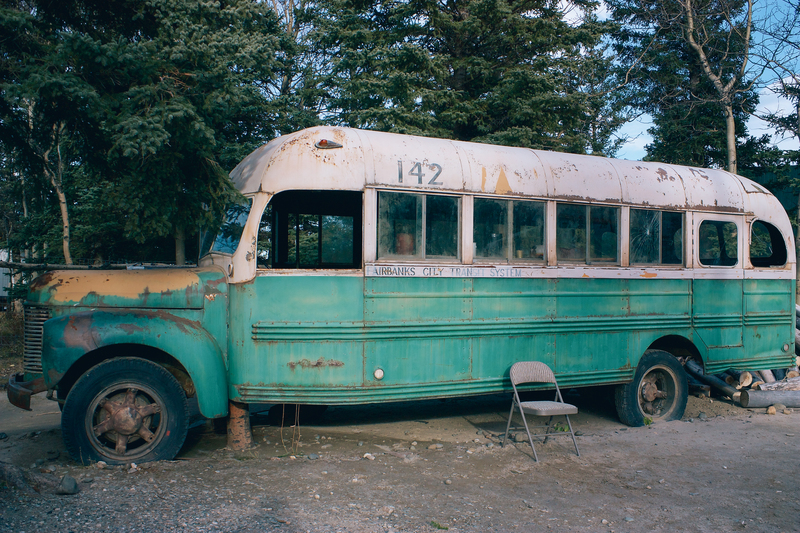 There is also a replica of the bus that Christopher McCandless lived in outside. “America’s Northern Most Brewing Company” – pub and restaurant. I’m not personally a fan of Thai food but my friend who lives in Fairbanks says it’s amazing! Our cab drive told us this is a must see place when visiting Fairbanks. It’s on our list for next time since we didn’t have the time to go this trip! A great recreational spot to visit during the summertime. Chena Lakes is located about twenty minutes outside of Fairbanks. The campgrounds offer a variety of family friendly activities, including hiking, volleyball courts, fishing, picnic tables, as well as canoes, kayaks, and paddle boats that can be rented for a small fee. In the winter, you can go ice fishing on the lake! 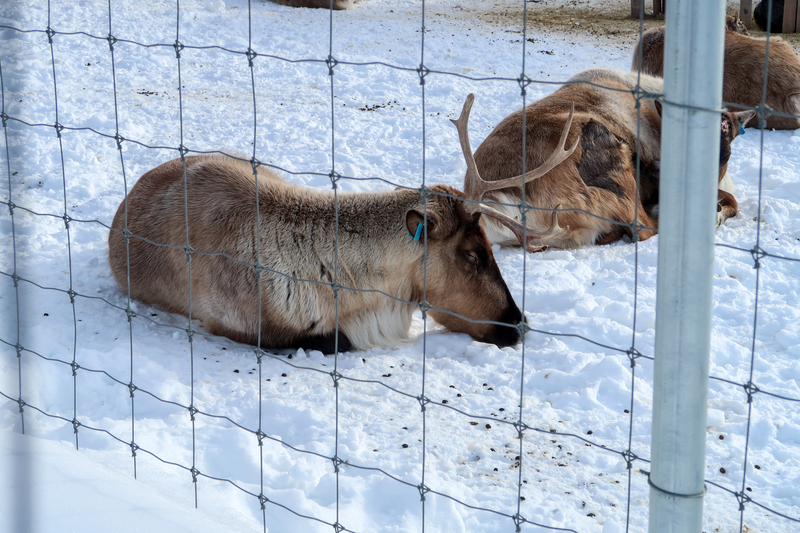 Take a walk with the reindeer at running reindeer ranch! Make a reservation as this is their home. The same cab driver also told us that the Museum of the North, located on the UAF campus, is a really fascinating place to visit. Again we didn’t have time so I’m also adding this to the list for next time! For more information about the exhibits, hours, prices, etc. visit the Museum of the North site here! 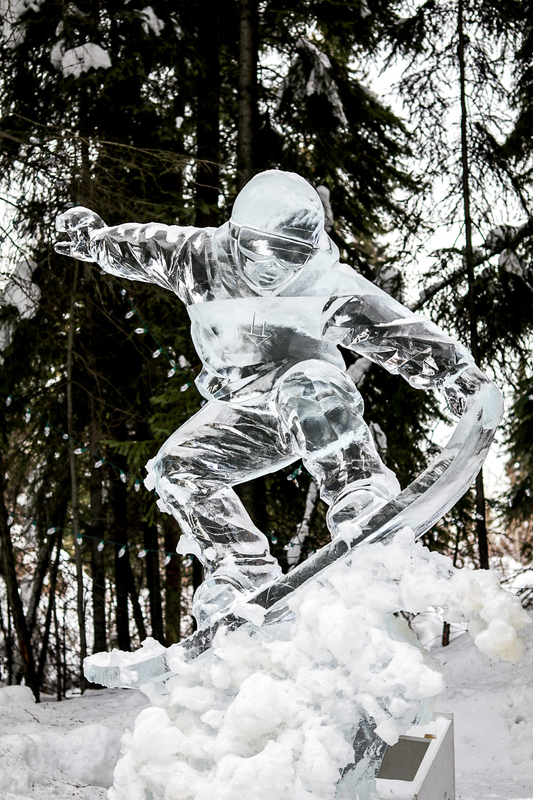 Every year, Fairbanks hosts the Ice Sculpture World Championships. Head to the Ice Sculpture Park Ice Alaska (visit them on Facebook here) and see the amazing ice creations. You might get lucky and see people making their sculptures! Home of the Fairbanks Convention & Visitors Bureau, Tanana Chiefs Conference, and the Alaska Public Lands Information Center – these three organizations work together to educate residents and visitors about the history of Fairbanks. This is something I’m going to do on my next trip and it’s a bucket list item for me. Get a real feel for the Alaskan lifestyle by learning about dog sledding, its history, and how to be a musher. Some places let you take the dogs out for a day trip or even an overnight camping trip. Definitely research what exactly you want to do, but here are a few options to start: Black Spruce Dog Sledding, Sirius Sled Dogs, Paws For Adventure. 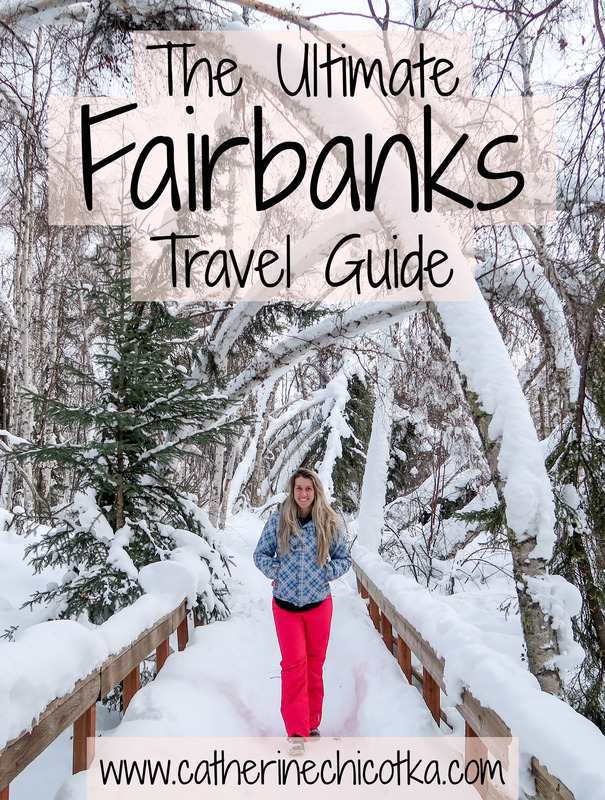 Take a sight-seeing excursion of Fairbanks by ground or air. 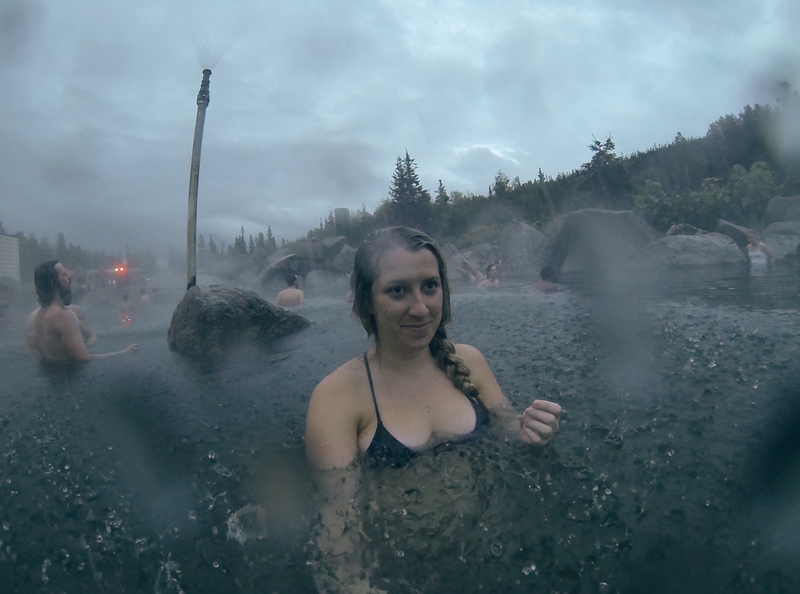 The hot springs are a must visit when you go to Fairbanks. You can take relax in the hot springs or grab a drink at the Ice Bar. Or you can do both! Note: you must be 18+ to swim in the natural hot springs. Take a boat tour to see and discover the history of Interior Alaska – this is only available May – September. Discover the history of aviation in Alaska at the Pioneer Air Museum. Choose from a variety of different guided ATV tours near Denali National Park. A great and fun way to experience the wilderness of Alaska. 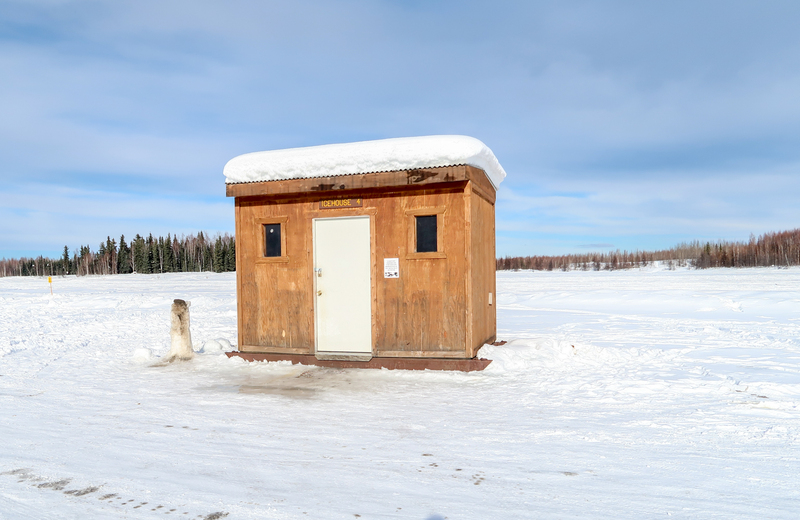 Located 15 miles SE of Fairbanks, Santa Claus House is a popular tourist destination. Home to North America’s tallest peak, Mt. McKinley. While we didn’t hike Mt. McKinley, I wish we would have had more time to explore and hike the trails. 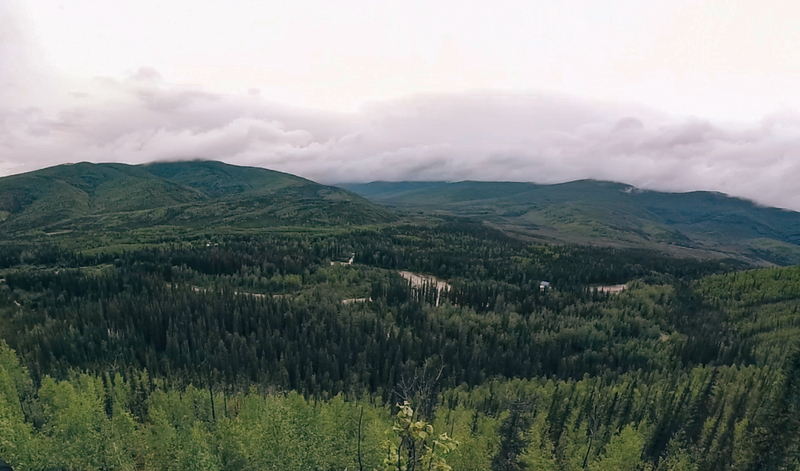 This beautiful hike is about 40 minutes outside of Fairbanks and on the way to Chena Hot Springs. You even have the option to hike all the way to the hot springs (8.3 miles one way). The hike offers stunning views and you walk next to the Chena River. These walking/hiking trails wind through a 75 acre forest with a variety of wildlife in the sanctuary. Great for bird watching and wildlife viewing. Originally a dairy farm, the grain and fields provided the optimal habitat for waterfowl. The Alaska Department of Fish and Game manages the 2,000+ acre refuge and offers a network of nature trails and viewing platforms and towers. Subscribe to receive the latest content and new travel guides! Awesome post! I will definitely be saving for later, as I’ve been wanting to go to Alaska! I have heard wonderful things about visiting Alaska! I have never been, but I think it could be a lot of fun!